A UNESCO report (Access: http://www.uis.unesco.org/_LAYOUTS/UNESCO/women-in-science/index.html#overview!lang=en) indicates that just 28% of the world’s researchers are women. The percentage is pegged at 30% in Sub-Saharan Africa. While more women are enrolling in university, relatively few pursue careers in research. There are many leaks in the pipeline – from stereotypes encountered by girls to the family-caring responsibilities and bias women may face when choosing a career. The 1000 Girls – 1000 Futures Program is a world-wide effort that pairs motivated, enthusiastic mentors with smart, STEM-focused high school women and gives them access to innovative programming that will help them develop essential 21st century skills. 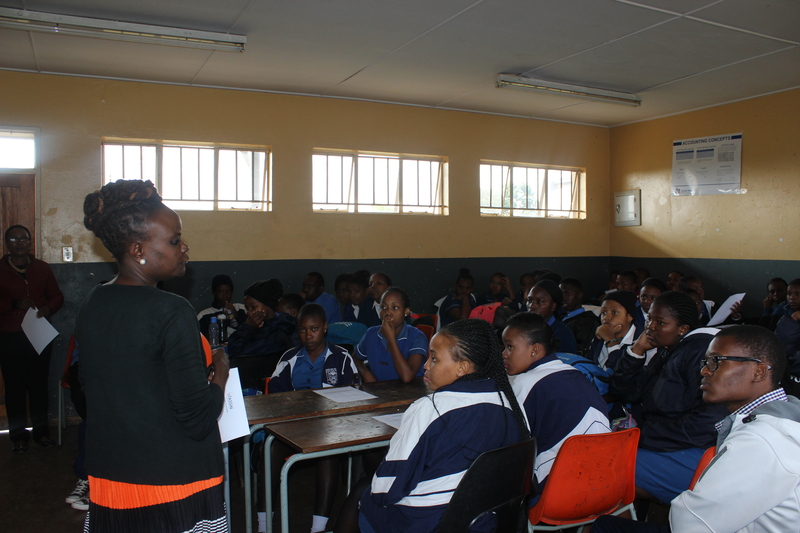 During the pilot phase of the 1000 Girls – 1000 Futures programme, several South African mentors and mentees took part. A call for a second round of the programme has been made, and a feedback survey is also underway among the first cohort of participants. The SAYAS members who participated in the programme provided feedback on their experience. Dr Christine Tshabalala noted that whilst the programme was a noble one, one of the biggest challenges was with connectivity. She experienced challenges connecting with the recommended Big blue button technology several times until eventually they resorted to utilising Skype in the last months. This challenge also works both ways with the mentee experiencing connection issues. All in all, Dr Tshabalala notes that “it is a great initiative” and would like to see a survey conducted in order to ascertain how other mentors and mentees faired and lessons learnt in order to improve the programme. Dr Meghan Groome, the Senior Vice President, education from the New York Academy of Sciences (NYAS) who manages the 1000 Girls – 1000 Futures programme, visited South Africa in July 2016 to investigate better ways to connect with mentees, as well as to speak with potential funders to expand the programme locally. Dr Caradee Wright, SAYAS Member, Edith Shikumo, Young Scientist Liaison Officer and Dr Siyavuya Bulani, Senior Liaison Officer from ASSAf met with Dr Groome. The meeting explored ways of boosting the programme in order to reach 100 girls in South Africa in the coming year. 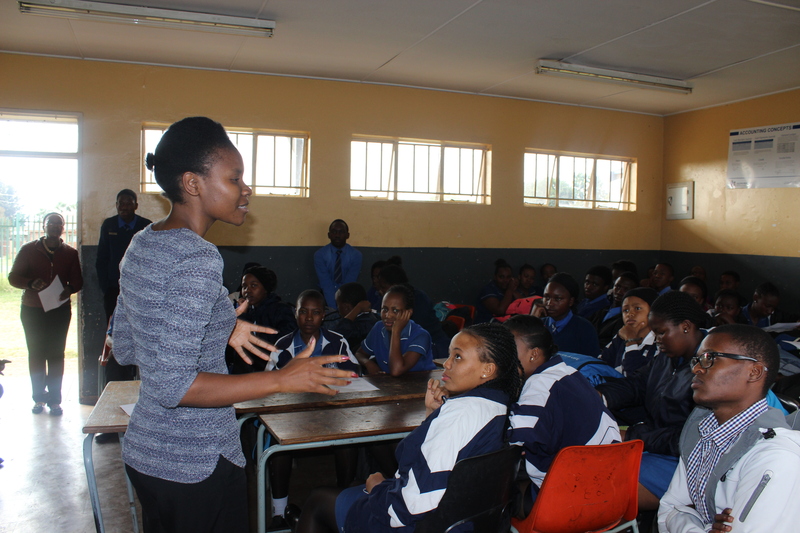 Continued engagements by Dr Caradee Wright at the Modiri High School in Garankuwa saw the participation of South African candidates attending the 67th Lindau Nobel Laureate Meeting engage with young scholars from their Science Club on 12 May. This was held during a send-off meeting to introduce the five young South African scientists nominated by the Academy of Science of South Africa (ASSAf) to attend the prestigious Lindau Nobel Laureate Meeting held on 11 to 12 May 2017 at the National Research Foundation’s (NRF) Albert Luthuli Auditorium. The South Africans will be among 400 young scientists from 76 countries selected to participate in this year’s 67th Lindau Nobel Laureate Meeting on Chemistry in Lindau, Germany, from 25 to 30 June 2017. Deserving young scientists are annually nominated to attend the Lindau Nobel Laureate Meetings which are designed as a forum for young scientists from all over the world to have an in-depth exchange with Nobel Laureates. There was a certain chemistry when young scientists from 40 countries met 60 Science Spaza science club members in the East Rand township of Tsakane near Brakpan on the East of Johannesburg. Bringing together the young scientists and learners inspired hope for both groups and demonstrated the power of science engagement to gain new perspectives on old challenges. 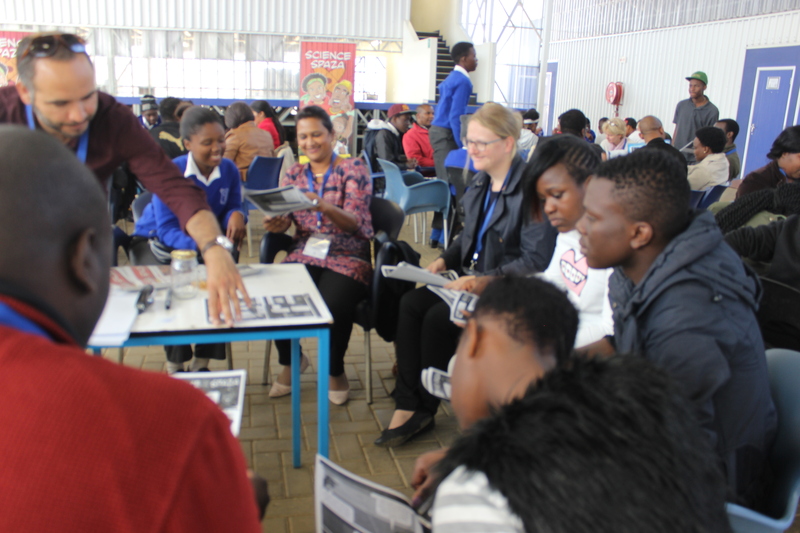 The outreach and engagement was the initiative of the South African Young Academy of Science (SAYAS), which partnered with the Science Spaza science clubs programme to facilitate the afternoon’s proceedings. 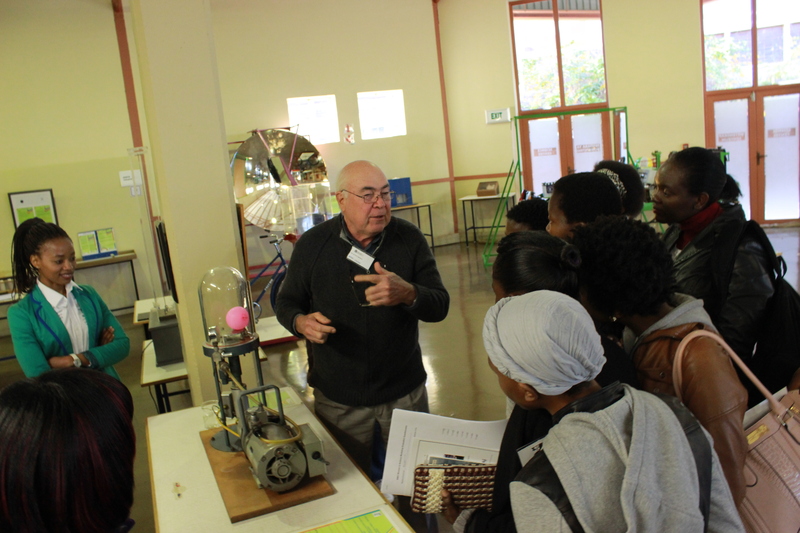 The 60 learners from two independent science clubs, the African School of Excellence Science Club and the Yael Science Club (Isaac Newton School in Johannesburg) were waiting patiently when the delegation of 60 young scientists walked through the door. How can spaces be created for scientists to engage in conversations with the public? In particular, how can scientists talk to young people to inspire and encourage them to pursue careers in Science, technology, engineering and mathematics (STEM), and how do they, in turn, hear about the challenges and difficulties these young people face? These were some of the questions on the minds of the delegates of the 3rd Worldwide Meeting of National Young Academies of Science (NYAS), and the purpose of the science outreach and engagement to the African School for Excellence. 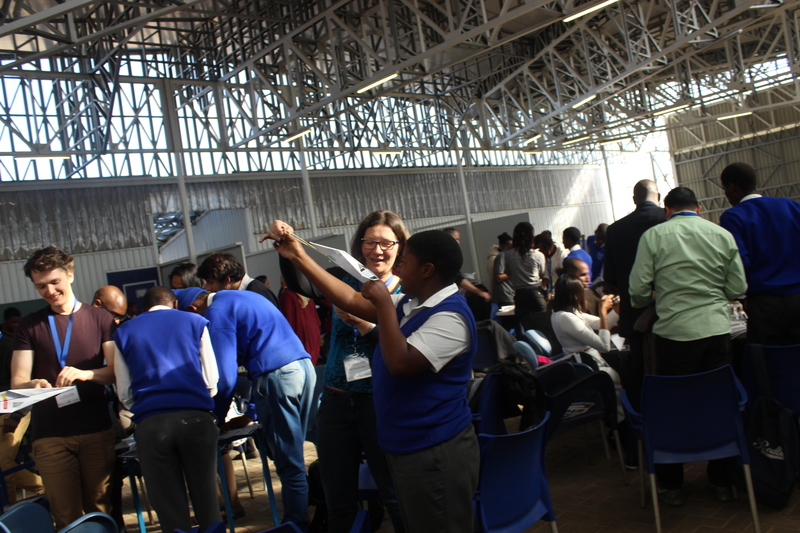 Hands-on activities are the hallmark of the Science Spaza experience, and soon the air was thick with paper planes, while the young scientists tried to explain and understand the scientific principles at work. The activities served to break the ice and set the scene for an invigorating discussion between the two generations, which proved to be competitive too at times, but all in good spirit. The meeting of NYAS under the theme “One Health–Health and Development in the context of an Urbanising Planet and Implications for Science Policy” focused on sustainable development goals (SDGs) 3 (Good Health and Well-Being), 8 (Decent Work and Economic Growth) and 11 (Sustainable Cities). It explored the role of NYAS as a mechanism for national implementation of the SDGs, and how science and technology can be harnessed towards achieving the UN SDGs. 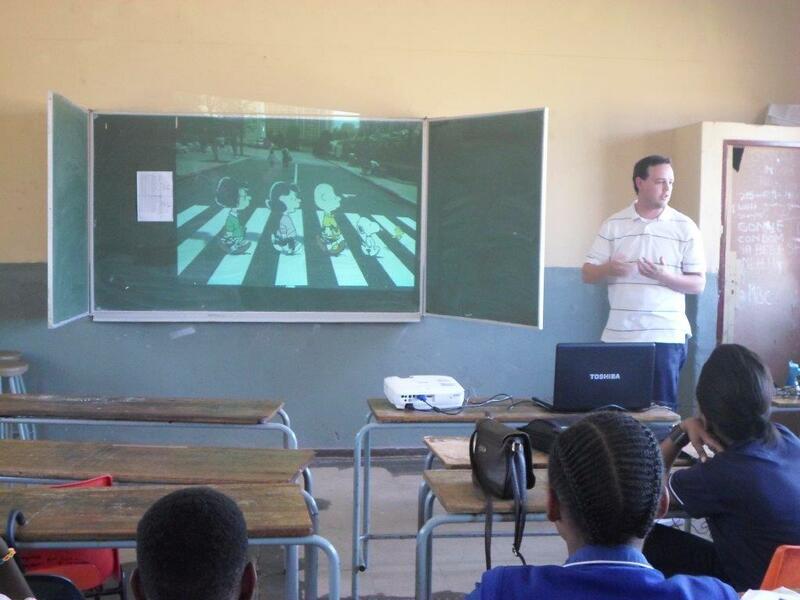 Bringing hands-on science engagement to high schools in Gauteng. In partnership with SANEDI and Jive Media, SAYAS reached out to over 20 schools in Pretoria in 2014, and wants to activate this project in more provinces. This project started in 2014, with a young scientist from the National Laser Centre (CSIR) presented at a Mastery Science Club. Since then, the Science Spaza project has been growing steadily, yet needs the support of more funders to help them reach across the country. This venture makes use of existing science clubs at schools, and spurs the creation of new clubs. High school students are mentored to lead sustainable science clubs themselves. Our advice ranges from how to hold members to regular meetings to how to invite actual scientists to your school, and conduct practical research on real world topics. The aim is to have fun interactions with science, inspiring not only the students but also their teachers. We started with Modiri High School in Ga-Rankuwa, where SAYAS helped their Mastery Science Club to become fully established. In 2015, we finalized the School Club manual, which is now available online (see details at www.sciencespaza.org). 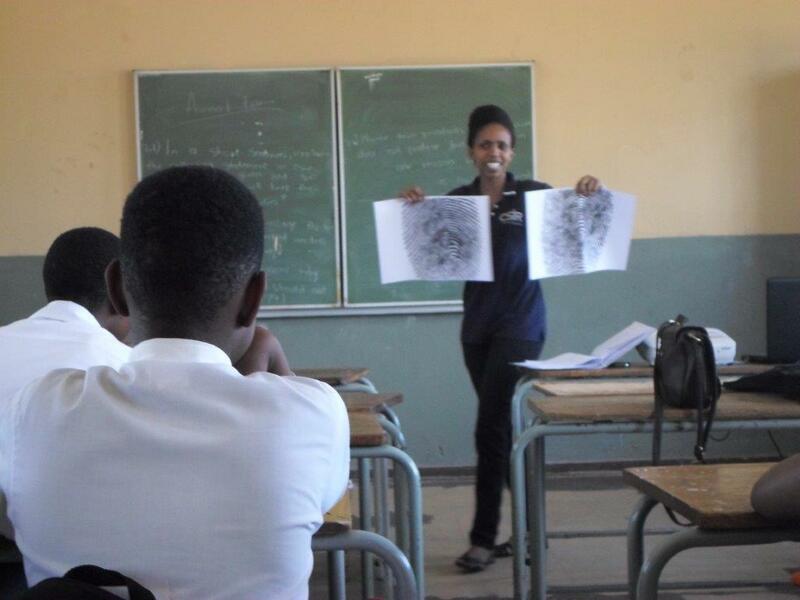 SAYAS funded the printing of several Science Spaza manuals, which Jive Media is distributing to all registered science clubs throughout South Africa. Together with Smeetha Singh (University of Pretoria and Smitzin Science) Caradee Wright, SAYAS Member, drafted an article for Quest magazine on the benefits of running an extramural science club. They are also sending a letter to all district heads in the Gauteng Province education district describing the benefits of school science clubs, introducing the school science club manual and mentioning the Science Spaza website to register on for free term based resources to run clubs. The main objective of conducting outreaches and roadshows is to raise awareness of young scientists opportunities available and raising the profile of SAYAS in order to increase membership uptake. This is especially in previously disadvantaged universities. The following universities were visited by Mr Stanley Maphosa, ASSAf Liaison Manager and Ms Edith Shikumo from the SAYAS Secretariat. We were joined by Prof Philani Moyo and Dr Nosiphiwe Ngqwala at the UFH outreach. Dr Ngqwala was interviewed on Forte Comm. Radio the university radio station in Xhosa –SAYAS’s first indigenous language interview. From interactions with students, it was realised that they need encouragement from supervisors and lecturers to apply for opportunities. And further, if the latter could read through students’ applications before submitting, it would increase uptake of opportunities and improved success rates. This speaks to SAYAS mandate in mentoring upcoming young scientists. A two-day retreat organised by University of Fort Hare’s, Department of Livestock and Pasture Science for its postgraduate students aimed to primarily address the maximization of research output. Dr Nosiphiwe Ngqwala, a SAYAS ExCo member attended the retreat held on 21 April 2017 at the Fish River Sun in Port Alfred and made a presentation on various engagements within the academy stressing the need for young professionals themselves to be bold enough to mentor one another (peer to peer mentorship) and seek innovative ways of implementing their ideas. To achieve this, Dr Ngqwala noted that there is a need for an initiative that brings young talented professionals together to meet regularly with a view to improving their leadership, technical, entrepreneurial and research skill sets through various activities including workshops, training, speed dating, etc. 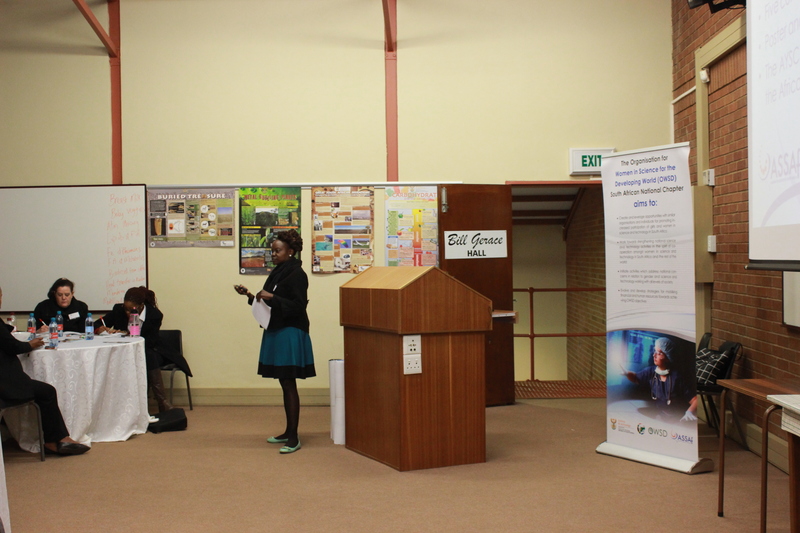 Under the OWSD/ British Council Newton Fund (UK) banner, SAYAS attended a Presentation by one of the students (who is a beneficiary of the Newton Fund Professional Development and Engagement project) at the North West University’s Potchefstroom Campus on June 24, 2016 with Constance Manyeli, Liaison Officer at ASSAf. Edith Shikumo the Young Scientist Liaison Officer made a presentation on SAYAS and opportunities available for young scientists with a focus on the upcoming Annual Young Scientist Conference and the 67th Lindau Nobel Laureate Meeting on Chemistry. Ms. Shikumo also, paid a Courtesy Call to the university’s Research Support Office and met with Me Mpe Meintjes, Cluster Coordinator: General Research Support and Me Buyi Ntaka, Cluster Coordinator: Funding. Ms. Shikumo gave a brief explanation of ASSAf and SAYAS and the benefits for the university’s post-doctorate students and early researchers.